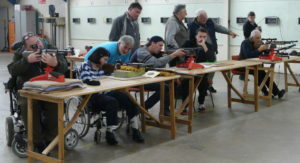 We’re running 1 hr air rifle sessions from 1000-1300 on the 19th & 21st June at the club, £2. For full information see here. To book please contact us. This entry was posted in News by Trevor. Bookmark the permalink.